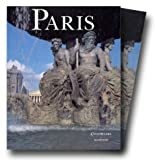 Perfect for a short break or weekend away, this concise, practical and easy-to-use guide is packed with Paris' best sights, itineraries and local secrets to help you create a memorable trip. Features : Maps for every neighbourhood ; Walking tours and day planners ; Insider recommendations ; Expert travel tips ; 100% independent advice. Paris is renowned for its magnificently preserved cityscapes awash with icons including the Eiffel Tower, Arc de Triomphe and Notre Dame, and museums filled with priceless works of art. Catherine Le Nevez's wanderlust kicked in when she roadtripped across Europe from her Parisian base aged four, and she's been hitting the road at every opportunity since, travelling to around 60 countries and completing her Doctorate of Creative Arts in Writing, Masters in Professional Writing, and postgraduate qualifications in editing and publishing along the way. 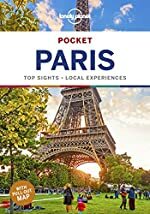 Over the past dozen-plus years she's written scores of Lonely Planet guides and articles covering Paris, France, Europe and far beyond. Her work has also appeared in numerous online and print publications. Christopher Pitts' first expedition in life ended in failure when he tried to dig from Pennsylvania to China at the age of six. Hardened by reality but still curious about the other side of the world, he went on to live for several years in Kunming, Taiwan and Shanghai. A chance encounter led to a Paris relocation, where he lived with his wife and two children for more than a decade before succumbing to the lure of Colorado's sunny skies. Border-hopping is a way of lite for British writer, runner, foodie, art aficionado and mum of three, Nicola Williams. Nicola has authored more than 50 guidebooks for Lonely Planet and covers France as a destination expert for the Telegraph.